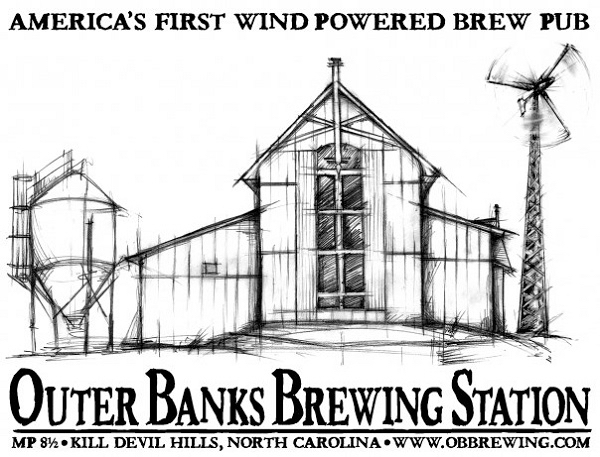 The iconic Outer Banks Brewing Station. And now we are four—four locally owned microbreweries on the Outer Banks, that is. The Northern Outer Banks Brewing Company in Corolla just joined the mix this spring, and that brings the number of microbreweries on the Outer Banks to four. Or maybe five if 1718 Brewing down in Ocracoke is included…although we think that’s a bit of a long way to go for a beer. The four breweries on the northern Outer Banks are just close enough together that it would be possible to take an afternoon and do a beer tasting tour. And since each of the microbreweries has their own distinct style and taste, it could make for a very interesting time. Not actually on the Outer Banks—it’s about a half mile north of the Cotton Gin—Weeping Radish is both the first microbrewery on the Outer Banks—they opened first in Manteo—and the oldest microbrew in North Carolina. Definitely German style beers, although there is a surprising variety. By all means, check out the restaurant and try some of the sausages they make on premise. Look for the wind turbine. Very well made craft beers in a variety of styles. Their lemongrass wheat ale is as good a summer sipper as there is. The food is pub food but a noticeable notch above the average pub food. Save room for dessert…their always excellent and sometimes spectacular. Look for great live music during the week and outdoor service under the wind turbine. Enjoy an English stye beer and some excellent food at the outdoor cafe in downtown Manteo. The Lost Colony Brewery and Cafe used to be the Full Moon Cafe, same owners, same great food, it just that they’ve added their own beers to the mix. The style is very much the English way of brewing beer—a bit heavier than American brews, usually with a bit of a hoppy finish. Very well made and worth a visit. The newest addition to the Outer Banks microbrewery scene, Northern Outer Banks Brewing is turning out some wonderfully drinkable beers. There is a tasting room, but they don’y have food. However, Cosmo’s Pizza is next door and later in the day Metropolis is open. The brewery also makes their way to the Whalehead Club to offer tastings on Whalehead Wednesdays. Looking for a place to call home when away from home? Check our what’s available at Joe Lamb Jr., & Associates.